City-pretty starts with a bold trio-eyeliner, mascara and lip color. 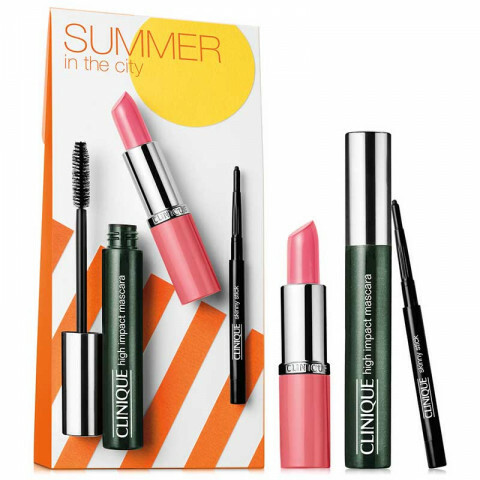 Featuring Clinique Skinny Stick for a soft, surprising aura of color and High Impact Mascara for instant volume and length. Finish the look with a cheery shade of our longest-wearing lipstick formula. Clinique makes such great products and keeps them affordable. I love the high impact mascara. It stays on, doesn't smudge, but will come off at the end of the day.